Hi! 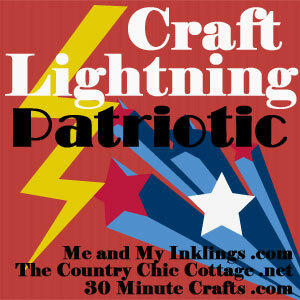 I am sharing today as part of the Craft Lightning Patriotic! I am excited I am able to participate in this blog hop. It includes a lot of bloggers making “lightning crafts”. 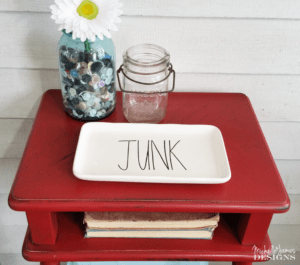 These are crafts that can be made in 15 minutes or less (excluding drying time). 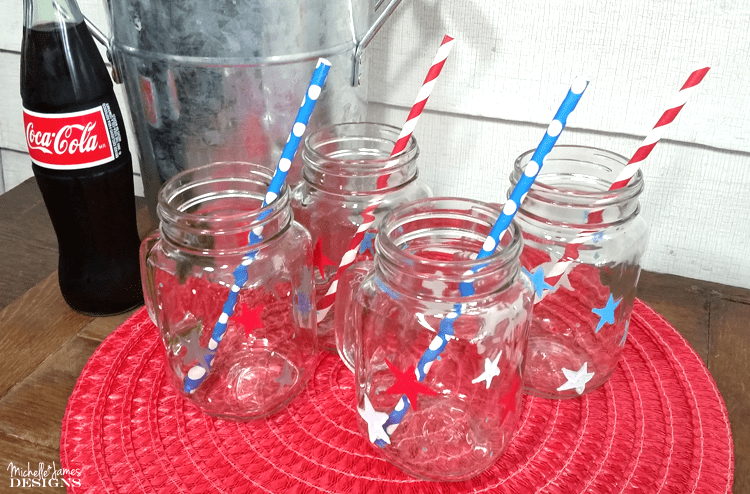 I used some dollar store mason jar glasses and jazzed them up for a 4th of July celebration. 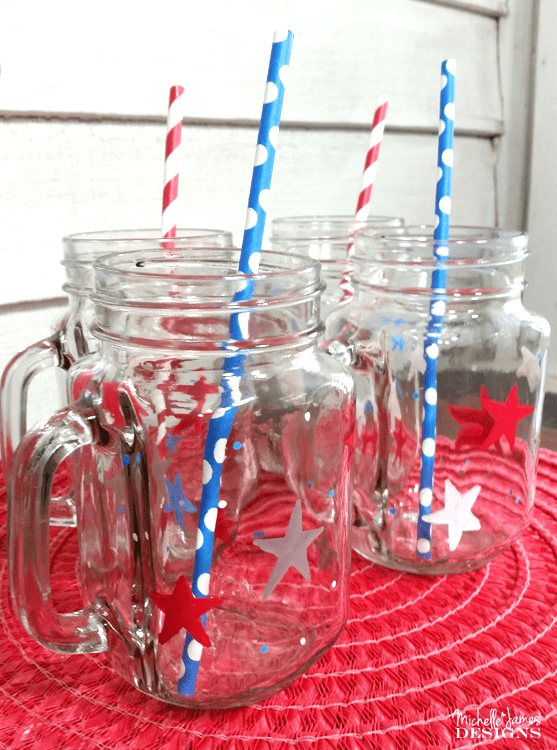 Now they are the perfect patriotic glasses. 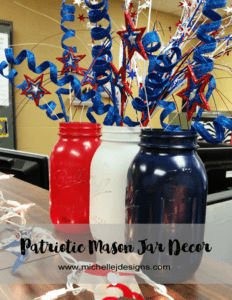 I created some fun patriotic decor last year for the office so I was excited to make more this year. 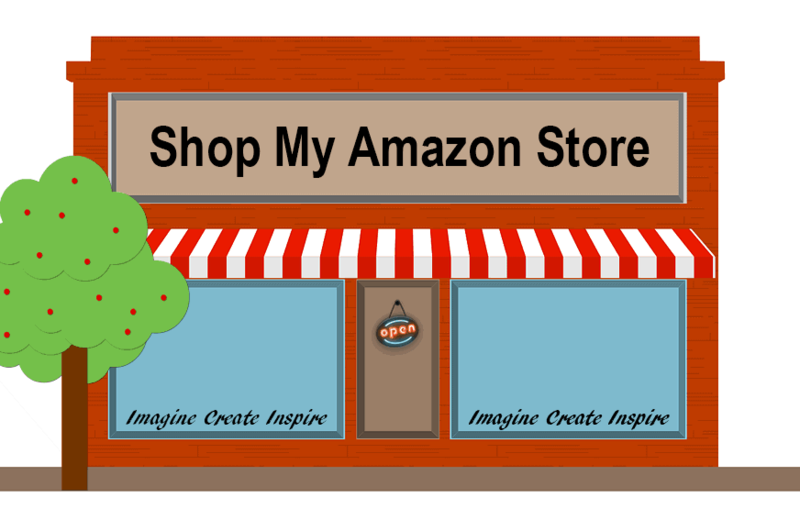 Supplies Needed: I am including some affiliate links for your convenience. You can read my full disclosure here. I wanted a hand-drawn look for these glasses so I chose to just draw my stars onto the glasses free hand. 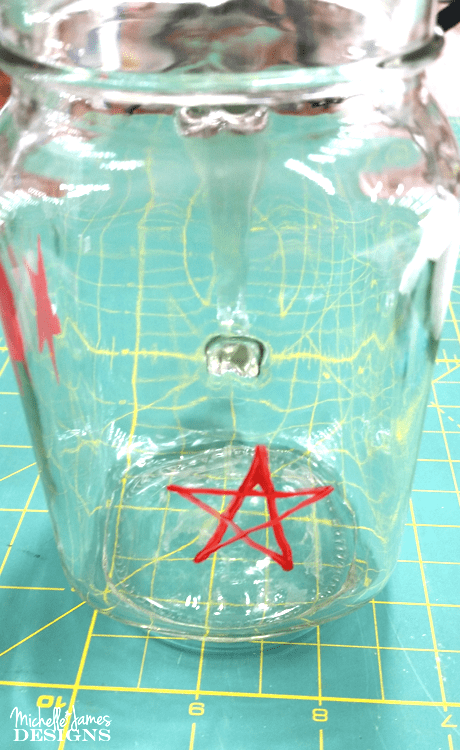 If you don’t like this idea you can make a stencil or use a pre-made stencil with stars on it. And if you hate what you drew or you make a mistake some rubbing alcohol and some paper towel or a q-tip will remove the marker and you can start over. This is so easy. All I did was draw a 5 point star with the marker then color it in. I had four glasses and I mixed up the colors a little bit. 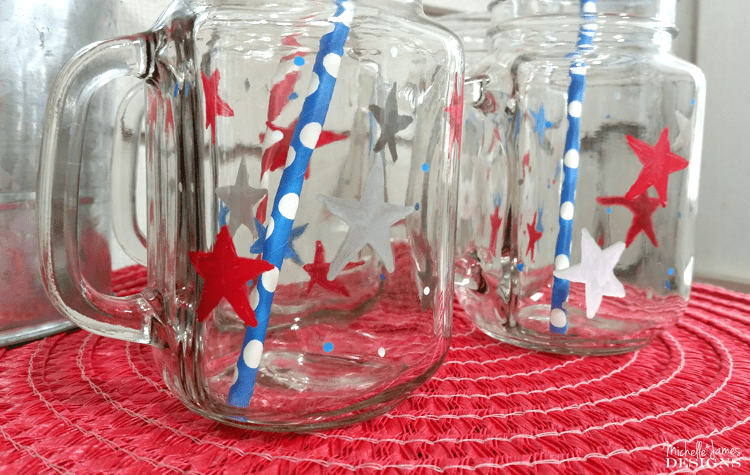 On each glass I used two colors for the stars and then two colors for small dots as a filler. When they are done place them on a cookie sheet into a cold oven. Turn the oven on to 250 degrees and let the glasses “bake” for 2 hours. Then turn the oven off, keeping the glasses inside until the oven is cool. This should make them safe for washing in the dishwasher but I would really recommend hand washing. 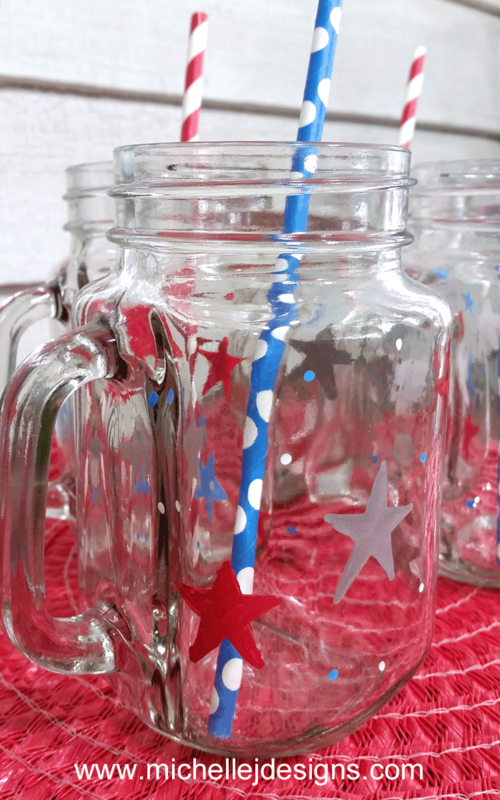 They are so festive and it is fun to have patriotic glasses for my 4th of July celebration. I love them. If you love them as well don’t forget to pin them! Those mugs will hold a lot of wine, Michelle! Hi Nancy! You better believe they will. Haha! These are totally darling. I am so glad you are participating in Craft Lightning! Thank you Laura! I love a fast craft so this is right up my alley! Great idea! Thanks for joining! 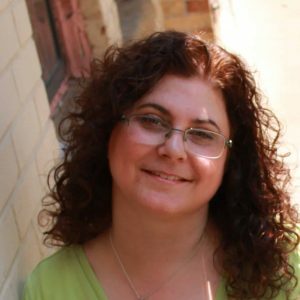 Thank you Angie! This was fun. 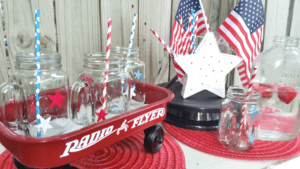 Perfect for the 4th Michelle! Just too darn cute! 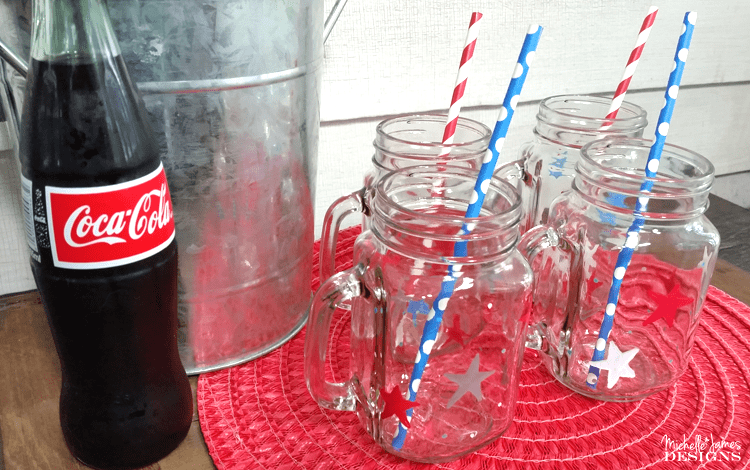 I have so many mason jars I think I will try these myself! Yay!! They are so fast…except for the baking. Love love love these! I didn’t even know sharpie made these kind of markers. So many things you can use them on. What a great post. Thanks. They really are so easy to use. I love them a lot. 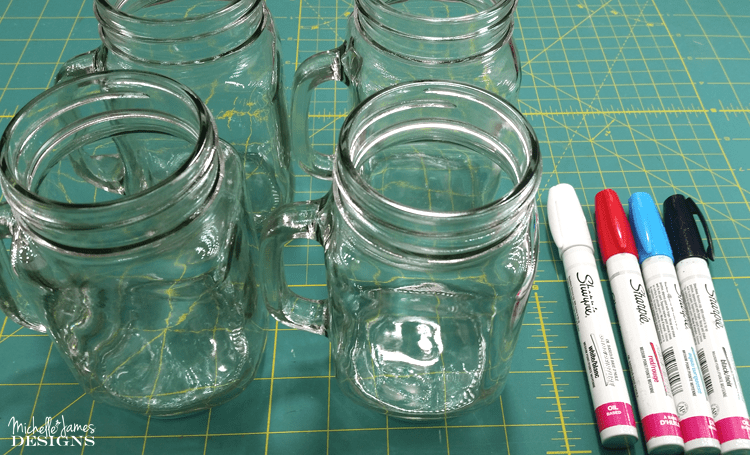 I recently used them to make two retirement mugs for a co-worker. It was nice to be able to personalize them.